It’s no secret we have a huge, huge, problem in higher education today. Between the riots, the proven lack of education, and the soaring tuition we’re seeing a system of such high cost, minimal stability, and low usefulness it’ll be surprising if higher education 20 years from now looks anything like the mess of today. Administrators control the modern university. The faculty have “fallen,” to use Benjamin Ginsberg’s term. It’s an “all-administrative” institution now. Spending on administrators and administration exceeds spending on faculty, administrators out-number faculty by a long shot, and administrative salaries and benefit packages, particularly those of presidents and other senior managers, have skyrocketed over the last 10 years. Much as I identified years ago, key to the problem is educators no longer have any influence over higher education. Admin, from mightiest Poo Bah to lowliest Deanling, run the show, and faculty count for nothing. I’ve seen faculty terminated for the pifflingest of reasons. I’ve been on a campus where if the Dean decided her 15 year old high school dropout daughter is to be a mathematics professor, I could not only be fired without appeal and replaced by that daughter in a week, the Dean would get a bonus for having more female STEM faculty under her. While there is some truth in the above, I’d further add that many students on campus resemble administrators in the sense that they have no interest in, or respect for, education. Additionally, many students on campus are fraudsters. Again, I’ve been on a community college campus where at least 40% of the student base was pure fraud–once the students got their student loan/grant checks (on “check day”), the campus cleared out. Admin would claim the school had four thousand or more students, even though the parking lot couldn’t possibly hold more than 400 cars at any given time even before check day, and after check day it would be nearly vacant even at peak times. What other business uses a model where so many of the customers are fraudsters? Prisons, I suppose. The revolution is over and the administrators have won. But the persistence of traditional structures and language has led some to think that the fight over the institution is now just beginning. This is a mistake. As with most revolutions, open conflict occurs only after real power has already changed hands. The author is correct here, the administrative takeover of most campuses is complete, and education is doomed on those campuses until…and here is where the author fails. Why not suggest a solution? Allow me to quickly address some means to curing this ill. I recall my days bringing a school through accreditation. Without accreditation, a school cannot receive all the free government money. So, my unaccredited school only had one type of student: a student willing to pay his own money for an education. I can’t emphasize strongly enough how much this changes the picture. Students paying their own money aren’t satisfied with bogus classes…they want real education. Administrators at that time allowed me to provide such an education, because that was the only way for a school to succeed. Yes, I only had 5 students in my 2000 level statistics class, but they were all legitimate students, and I taught a legitimate 2000 level statistics class. After the school received accreditation, the students (and vast sums of money) flowed in. I might have had 40 names on the roster for my class, but I still only had 5 students…the rest were only there for the money. I couldn’t fail them or even challenge them, because, with all the money coming in, admin no longer needed me to provide a legitimate education, no longer wanted me to push students to strive to become more than what they were. So, what used to be a 2000 level statistics class turned into a very light course on arithmetic with some basic probability thrown in. Accreditation, and the huge sums of money from the student loan scam, are the real problems, with the administrative takeover being the primary, fatal, symptom. We can either make accreditation a legitimate process (a difficult challenge), or shut off the student loan scam (politically difficult, but easier in principle), and either would go a long way to getting rid of all the fraud permeating our higher education system. A favorite trope among the administrative castes is accountability. People must be held accountable, they tell us, particularly professors. Well, let’s take them at their word and hold them accountable. How have they done with the public trust since having assumed control of the university? He’s initially absolutely correct: administrators are no longer accountable. Their power is absolute, unchallengeable, unstoppable. While a single student complaint can get me fired, I’ve seen administrators display breathtaking incompetence, indulge in obscene (sometimes literally obscene) fraud and…get a pay raise, a promotion, a long free vacation, ANYTHING but actually getting fired. They’re completely unaccountable at this stage, which is why they lie with impunity to the point that faculty simply assume every word out of administrative mouth is a lie. The author knows and writes this, and proposes we “take them at their word and hold them accountable”? What? Such is patently impossible, and is in direct contradiction to his valid claim of them being unaccountable liars. Faculty members are the ones who are now accountable, but no longer to their peers and students and no longer regarding mastery of their subjects. This is true enough, but I must add some clarification. Faculty are still accountable to students in that they must make the students happy; faculty need not, and should not, provide an education. I repeat: a single complaint can end, or absolutely harm, a faculty’s career on many campuses. Give a student an “A” and he doesn’t complain. So, you best not grade harshly, or at all if you know what’s good for you. This “make the student happy” accountability is killing the education in higher education. Bottom line, to get human beings to move ahead, sometimes you have to give them a push. Some people push back, but admin will punish you if any student pushes back. Thus it is that it’s well documented that many students complete their college career without reading as much as a single newspaper, or writing anything more comprehensive than a single one of my blog posts. Robert Buckingham at the University of Saskatchewan knows how it works. He was fired, stripped of tenure, and frog marched off the campus for what, in the real world, should have been an entirely benign and even welcome act — criticizing an administrative restructuring plan. The fall of the faculty indeed. What makes this sort of thuggishness possible in an institution ostensibly devoted to inquiry and free debate? Honest, the time for reason with these folk is long past: they have all the power, and are beyond reason. Thus again I mention cutting of the sources of their power, either the funding of the student loan scam, or the legitimacy provided by accreditation…neither of these methods will require even talking to the thugs who have taken over many of our campuses. If you think I overstate the consequences of this erosion of the university curriculum, consider the 2016 US presidential debates as barometers of the culture. Many people were horrified by the debates, regardless of partisan interests. But if you want to appreciate the full extent of the horror and understand just how far we’ve fallen, watch the first ever televised presidential debate between Kennedy and Nixon in 1960. It is indeed very clear to scholars how far we’ve fallen as a people. The presidential debates of the last election were insulting to the educated on multiple levels (just add some “hoots” from the crowd and they could have been taken from a Jerry Springer show at times), although such a discussion of how many ways the debates were offensive is best addressed on its own. I’ve mentioned before how a simple reading of books and papers from around 1850, or even 1920, reveals both a grasp of English and cognitive ability of the author (and the presumed reader!) that simply cannot be assumed in the general populace of today, and I’m referencing common newspapers here, not advanced texts or research documents. 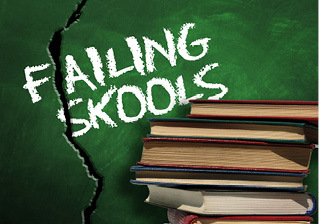 While our education as a society was relatively stable up until 1980 or so, the blame for the clear descent we have now can absolutely be put on the education, both at the “public” school level and in higher education. The article then goes on to discuss in detail four areas of higher education he considers most foul: students, curriculum, governance, and administrative salaries.